The article goes on to state, “In Cleveland, attorneys know which court reporting firm will check each and every one of their boxes: Cady Reporting. 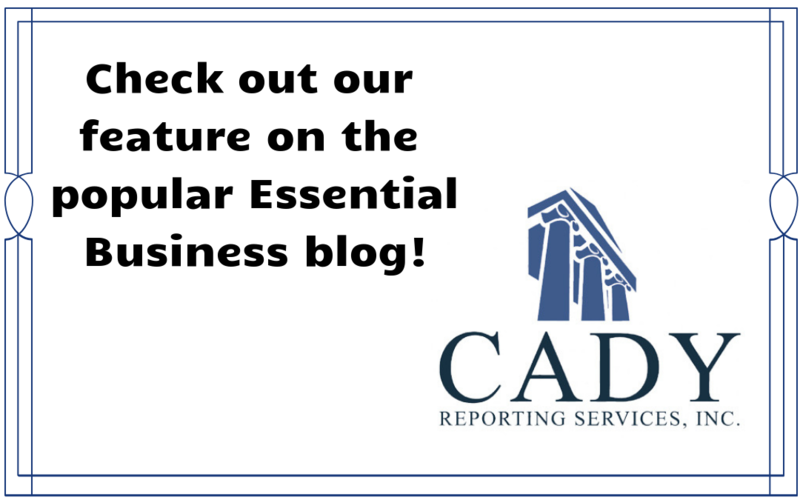 For 40 years now, the name “Cady Reporting” has been associated with excellence in speed and accuracy.” It also speaks on the general topic of the role that court reporters play in depositions, trials and other important events. We are so proud to have our family-owned court reporting firm play a prominent role in the legal field not only in Cleveland, but on a national scale as well. Not only do we, but also our clients, trust that we will give them the absolute best service in each and every way.